I know there both different type of hunting rabbit/pheasant. I have some land to hunt on ....I’ve only been out once that actually counts( morning) other 2x was during the day in the heat for a couple hours so... got a few questions. What to look for when hunting these 2 small game? Besides the high weeds that grew over the cornfield, I can hardly walk in it so tiring. There’s a few tree stands I’ve came across one right beside a corn field and 2 others inside the forest. What’s best walking around for them or just sit in the stand? I sat in the one beside cornfield Thursday saw nothing. Do I need a dog to flush them out?? I’m gonna go in the rain this week is the rain a good time or not? There’s a small tiny creek running through the land also. Land has some thick parts and some open area with tall weeds or shrubs don’t know what you call it. I walked through the edge of it also for bout an hour saw nothing just squirrels and small birds. for rabbits wait for snow follow their tracks. For pheasants going to need a bit more info. 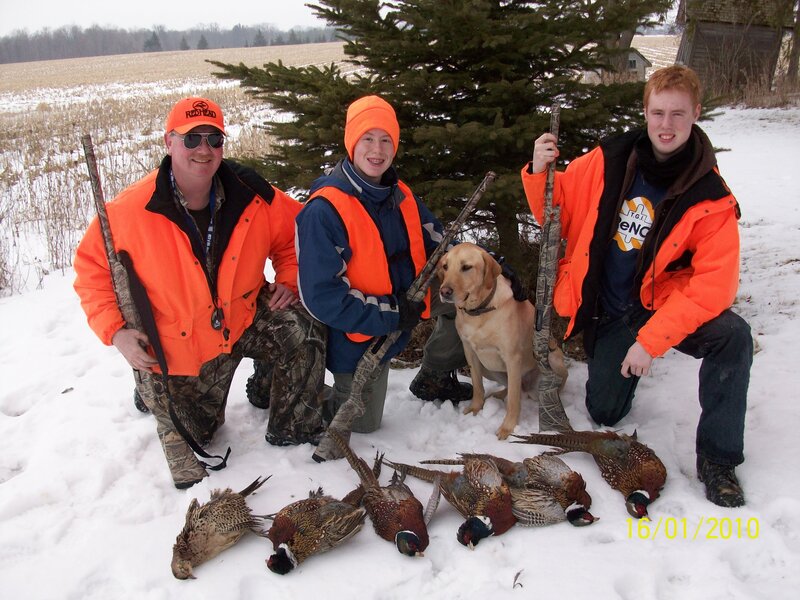 Pheasants for the most part don't exist outside a released program anymore. You'll need a good dog to find them before the flush and after the shot. You hunting private or public land? If its private the land owner can release up to 10 pheasants a year without needing a permit however you must follow all season and bag limits as per the hunting regs. It’s private land. Pheasant don’t exist? So what does just rabbit and deer??? Some other guys went out after me and said they saw pheasants. Are you telling me todo the release 10 a Year to try and find them after or to repopulate? I read that partridge is very scarce now so what birds are out in the wild NOTHiNG???? 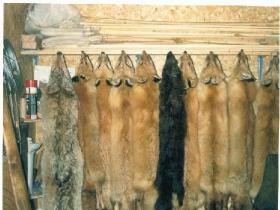 This is cookstown area. Cookstown doesn't have a release program so any pheasants you may encounter are probably a result of some private/personal put and take operation. More than likely what they saw were turkeys I don't put much faith in another's observation unless I see it with my own eyes. There are a few pheasants around but you will need a dog, you don't stand a chance if there is tall grass. Take the rabbit advice and wait for the first dusting of snow. The cornfield is beside the property and that neighbour hates hunters he will not allow anyone on his land or the cornfield...but it’s geez, you eat the geez? As others mentioned , Fresh snow and tracks tell no lies . You will find out quick what is there or not . Don't p### off the anti neighbor by stepping over the line . They will be watching too . Although seeing tracks is nice, it is a lot of fun when the bunnys have turned white and there isn't any snow on the ground. Too just sit and wait, you are just wasting time for the small game. Deer hunting is another story. As others have said, pretty much wasting your time walking around with out a dog unless there is snow. I also went out today but to a different spot with a friend, we walked around for 3 hours didn’t even see a squirrel. We took his dog, his dog knows nothing about the bush or hunting, dog ran off had to look for him for an hour, 8 month pup guard dog. Probably scared everything away yelling for dog. 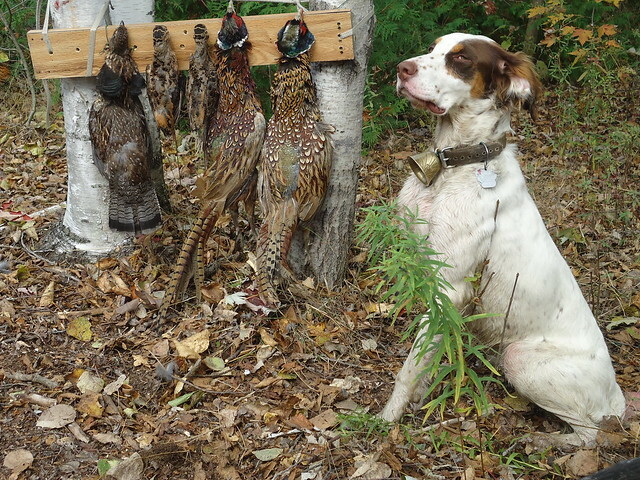 You are not going to find any pheasants, but you should be able to track down grouse, woodcock, and rabbits. 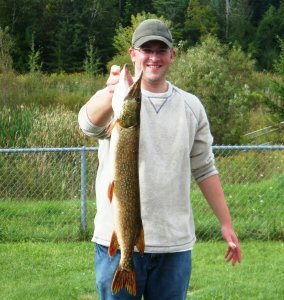 I've hunted close to Cookstown before and have gotten all three mentioned critters. Grouse are delicious and easier to clean then a fish! As others mentioned, some fresh snow will help find the bunnies, and once leaves are off the trees it will be easier to spot grouse/woodcock as they flush. 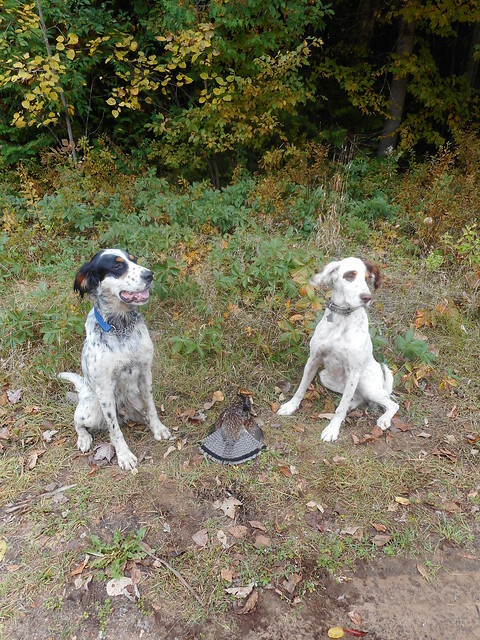 I was on private property close to Owen Sound yesterday and had seen 7 grouse between three flushes...no dog necessary. Unfortunately I was working and didn't have my shotgun. I'm sure having a well trained dog would make it easier, but at the end of the day, just get out there and hunt! 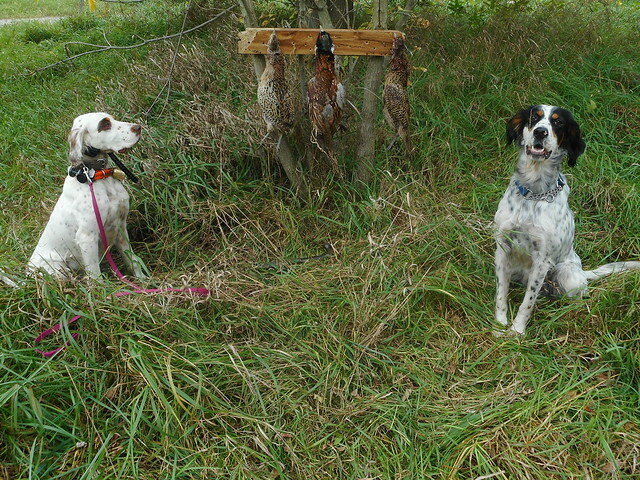 Ya an untrained dog is worse than no dog but hunting over a good dog just makes the day that much sweeter. Got out Monday found some woodcock and grouse but only 1 gave me a clean shot. Hoping for a frost to knock some leaves down and a north wind to bring on the woodcock. Nicely done! The dogs look happy too. Put some miles on the legs. Edit : Up at Moose camp me and my cousin .